Virginia Hunt Newman has been called "The Mother of Infant Swimming". She pioneered and focused worldwide attention on the non-forceful, non-traumatic method of teaching infants and preschool-age children to swim, earning great respect as an innovator in the field. She began her swimming career at the Indianapolis Athletic Club. From 1940 to 1948 she was a diver for the Los Angeles Athletic Club, winning swimming and diving titles. She performed in water shows with Johnny Weissmuller and Buster Crabbe for the USO. In 1950, Virginia wrote and directed a series of springboard diving films while working as an aquatic director and swimming coach at the Black Fox Military Academy in Los Angeles. In 1962, she gained international attention when her star student Mary Frances Crosby - daughter of motion picture star and singer Bing Crosby, passed the Red Cross Beginner Test at age two years making Mary Frances the youngest to be awarded the certificate at that time. Red Cross Honorary Chairman Johnny Weissmuller presented the certificate to Mary Frances on national television, with coverage by Life, Look and Time magazines. This was the catalyst for Virginia to compile her methods in non-traumatic teaching in her 1967 book, Teaching an Infant to Swim, a bestseller published in England, Australia, Germany, Sweden, Italy and Japan. Her second book Teaching Young Children to Swim and Dive was published in 1969. The strategy using play and distraction with very young students has been emulated by thousands of instructors worldwide. Some of the thousands of children taught by Virginia include those of film and television starts John Wayne, Bob Hope, Alan Ladd, Bob Newhart, Sonny & Cher, Shari Lewis, and Danny DeVito & Rhea Pearlman. Virginia has organized numerous national and world clinics and workshops on teaching children to swim. In 1993 Virginia also formalized an organization and series of educational conferences regarding for learn to swim teachers and program directors under the name World Aquatic Babies Congress. Teaming with Virginia efforts on behalf of babies and young children the organization now operates under the expanded name of World Aquatic Babies & Children. "The Mother of Infant Swimming"
gentle way so they learn to love the water ! The purpose of this annual award is to carry on the name of "The Mother of Infant Swimming" Ginny Newman and her philosophy of teaching babies to swim in a kind, loving, caring, and gentle way so they learn to love the water! Johnny Johnson has journeyed from being a student in 1959, to teacher, and now owner of Blue Buoy Swim School in Tustin, CA. In the past 51 years he has taught thousands of children to swim and is now teaching many third generation students. Blue Buoy is a charter member of the United States Swim School Association, and Johnny is a past president, having served on the Board of Directors on two occasions. In addition to seven years of Board service, he co-chaired the USSSA Infant Toddler Committee and co-authored the teaching course, along with Virginia Hunt Newman, that has been taken by thousands of instructors world-wide. Johnny was awarded the USSSA Guiding Light Award in 1996 and in 2004 he was recognized for his lifelong contributions to swimming and water safety with his induction into the USSSA Hall of Fame. Johnny and his wife Cindy were awarded the USSSA Humanitarian Award in October 2010 for their contributions to drowning prevention. In 2013, Aquatics International Magazine selected Johnny as one of its Power 25--one the 25 most influential people in aquatics over the past 25 years. Johnny has coached four different age group swim teams, synchronized swimming as an assistant to ISHOF inductee Dawn Bean, taught scuba and coached water polo and swimming at Villa Park High School where both his sons achieved All-American honors. Many Blue Buoy students have achieved elite status in competitive swimming and water polo including Olympians Amy White (Baladis) 1984, Gavin Arroyo 1996 & 2000, Jason Lezak 2000, 2004, 2008 & 2012 , Michael (Milorad) Cavic 2000, 2004, 2008 & 2012, Ryan Brown 2008, Jessica Hardy 2012 and sisters Makenzie and Aria Fischer 2016. Johnny also taught Chad Hundeby who held the English Channel World Record for 11 years. Chad was inducted into the International Swimming Hall of Fame in 2012. As a young Paediatric Occupational Therapist, Julie Zancanaro of Sydney Australia, would never have imagined she would one day receive the Virginia Hunt Newman Award and be recognised in the International Swimming Hall of Fame. Marrying Deny, an accomplished swim coach, she soon became involved in his successful swim schools, and in 1987 decided she needed to learn to swim properly! Quickly proceeding to her lifeguard certification, her next challenge was to train teachers for the rapidly expanding Zancanaro Swim School. Trained in developmentally based therapeutic approaches in education and health, Julie was shocked to see swim programs where babies and young children were forced and distressed. Julie sought guidance from the international learn to swim community. Virginia Hunt Newman’s book was a refreshing change, as was the guidance of Laurie Lawrence, Forbes and Ursula Carlile, Claire Timmermans, Cookie Harkin, Sharron Crowley and Rob McKay. Julie could not understand how force had any place in learning to swim, and strongly believed in child centred approaches and learning through play. After publishing numerous articles on developmentally based approaches, Julie was soon being asked to speak at National and International Swimming Conferences. In 1995, she presented at her 1st International Conference in Melbourne. She was the Australian delegate to the World Conference in Oaxaca in 1997; and a speaker in Toulouse 1999, Wellington 2007 and Vancouver 2009. The attack on the World Trade Centre prevented her from presenting in Argentina in 2001. In 1996 Julie was an inaugural recipient of the Meritorious Service to the Teaching of Swimming in Australia Award. She was a major contributor to the two Australian accreditation courses for baby and preschool swimming. A contributing author of the first AUSTSWIM Manual for Infant and Preschool Aquatics, and the more recent Swim Australia Teacher of Baby and Toddler Swimming. Since 2014 she has contributed to the first Curriculum and Teacher Training Program for indigenous communities in the Pacific, Let’s Swim. In 2001 Deny and Julie built Hills Swimming, a customized Indoor Swim Centre to cater for children from 3 months to National Swimmers, focussing on world's best practice in Early Childhood Aquatic Education. Of the 2500 students each week over half are under 5, and many have Individual Learning Programs to cater for Sensory Processing Disorders and other learning challenges. The team of 65 at Hills Swimming inspire her, and allow her time to assist national accrediting bodies to raise standards in early swimming. A champion of Respecting the Rights of Young Children in Aquatic Education, Julie is continuing to campaign for stronger industry self-regulation. She delivers accreditation courses for Royal Life Saving Australia, AUSTSWIM and Swim Australia, and has always remained bipartisan. Sitting on national committees and working groups across the industry helps achieve the best outcome for the children they serve. In 2016 Julie was the inaugural inductee into the Australian Swim School Hall of Fame for contribution to swimming education. She is currently on the Pedagogy Committee of the Australian Swim School Association and has recently been appointed to the Board of Advisors of the International Swim School Association. Having withdrawn from her Master of Science at the University of Sydney to open a new swim school, Julie is now resuming her studies, undertaking research into developmentally appropriate practices in early aquatics. Julie is very honoured and proud to continue the legacy of Virginia Hunt Newman, promoting gentle and developmentally sound swimming pedagogy for our most vulnerable little swimmers. The career of Monterrey Mexico’s Lulu Cisneros has flowed from competitive swimmer, to teacher, to coach, to model swim school owner/director, to spokesperson around the world for joyful aquatic programs for babies and young children. Lulu began teaching at 13 under swim coach and mentor Dionisio Dominquez as she went on to become state and national champion in 100 and 200 butterfly with the Monterrey Dorados. She was an exchange student and swim team member at Clearwater High School in Florida USA. While working toward her degree in business administration including studies in pre-school education and infant psychology she was the first swim coach at University of Monterrey and lead her team to a national championship among private universities. She met her husband to be, Mauricio Hernandez, during this time and together they founded Lulu Cisneros Educación Acuática in 1989. For her swim school she has created a system for babies and toddlers called “Early Aquatic Stimulation Program” that combines water, music and games to learn to swim in a cheerful environment putting the youngest children together with their parents in the pool. She was also among the first to create a video in Spanish on teaching babies to enjoy the water and inevitably learn to swim. A life changing trip to San Francisco for the 1991 National Swim School Association (NSSA) Conference made a big difference in her professional life. With much excitement she began making friends and exchanging teaching-learning strategies with other owners including Beatriz Esesarte from Oaxaca Mexico and Robert Strauss in Miami – all became her teachers. More travels to conferences, and exchanges followed. Knowing how much she benefitted by meeting with others Lulu was instrumental in bringing the 1997 World Aquatic Babies Congress conference to her home country which sparked much interest and growth in baby swimming. She followed that by hosting the 2002 Annual NSSA Conference to Monterrey – the only time it has been held outside the United States to date. Her swim school received the 1996 Nuevo Leon Quality Award (Mexico), being the first swim school to receive this honor. This gave Lulu the opportunity to meet with Mexican President Ernesto Zedillo. In 2002 Lulu received the Guiding Light Award from the USSSA, and in 2011 she received the Kelly Ogle Memorial Safety Award from the World Waterpark Association (WWA). Lulu has conducted teacher training and certification courses as well as being a featured speaker at conferences in the United States, Canada, Brazil, Argentina, Guatemala and Costa Rica. She still finds time to train as a masters competitive swimmer and is a state, national and world champion. Recently she participated in her first triathlon. A 3rd generation teacher and coach, Jim Reiser of Columbia, South Carolina USA began teaching in 1982. As a teenager, Jim taught under the supervision of his father in Johnstown, Penn., ironically, just minutes away from the “Home of the original Tarzan,” ISHOF’s Johnny Weissmuller. After teaching under his father’s supervision for eight years, Jim went off to get his college degree. By his sophomore year, the ambitious undergrad was leasing the California University of Pennsylvania pool to run a swim lessons program that taught over 1400 children to swim from 1990-1993. During this time, he also earned an undergraduate degree in Business Administration. While his undergraduate degree in business would serve him well, Jim’s true passion was in teaching, coaching, and water safety. Because of Jim’s outstanding swim program at the Pennsylvania college, graduate director Dr. John Spurgeon offered Jim a Teaching Assistantship in Aquatics and Physical Education at the University of South Carolina. Jim gratefully accepted the honor and moved to Columbia, South Carolina to earn his master’s degree. From 1993-1995, Jim studied at one of the most highly regarded Physical Education Departments in the country. His advisors and mentors would afford him with the opportunity to apply all his research to skill acquisition and the development of young swimmers and athletes. During this time Jim served as a graduate assistant to Dr. Richard Hohn where he would learn how to train, develop, and assess the effectiveness of the undergraduate physical education majors. Jim also taught all of the undergraduate aquatic courses. After earning his master’s degree in 1995, the department hired Jim to be its’ “Swim Professor” where he served as a faculty member until 2005. While in graduate school, Jim also launched The Swim Lessons Company, and he began to design a template for training swimming instructors which would eventually become known as Swim Lessons University. The Swim Lessons Company not only has four locations, Jim’s swim school has also been teaching nearly 2000 second graders every year since 2005 through a contract it reached with Richland School District One in Columbia, SC. Jim says he will be forever grateful to people that went out of their way to give him words of encouragement and really inspired him to stay the course as a non-traditional venture like this hasn’t always been easy. People like former USC Football Coach Lou Holtz and USC Basketball Coach Eddie Fogler both gave him words of inspiration and praised his teaching as I taught their grandchildren and children to swim. Jim’s creation of Swim Lessons University, now a world-renowned swim instructor training and certification agency has earned him respect from around the globe. Swim Lessons University is the official Learn-to-Swim Program of the World Aquatic Babies and Children’s Congress. Most recently, AAU Swimming (Amateur Athletic Union) has partnered with Swim Lessons University to train their coaches, and help AAU grow the sport through swimming lessons in traditionally undeserved communities. SLU is also recognized by the American Camp Association (ACA) and USA Swimming’s “Make a Splash” program. In the United States, SLU is now the Instructor Certification Training Program of choice by recreation departments, YMCAs, pool management companies, and swim schools in 41 states. Swim Lessons University can also be found in 52 countries from the U.S. to New Zealand. Jim Reiser has been honored over the years by several organizations. He has been the recipient of the Adolph Kiefer “Water Safety Person of the Year” award by USA Swimming, the “Community Lifesaver Award” by the National Drowning Prevention Alliance, and the “President’s Award” by the World Aquatic Babies and Children’s Congress. Jim is happily married to his wife Heather and they have three children, Jeb, Nolan, and Rex. Torill has a background in competitive swimming and lifesaving, and parallel to her work with babies, she has been educating swimming and lifesaving instructors for the NLS and the NSF since the 80’s. She helped establish sport lifesaving in Norway, serving two terms as chair of the sports committee and was the national coach for life saving for four years. She has also gained inspiration from several teachers in the field of antenatal aquatics, following programs from France and Australia that focus on preparing the mother for birth, breathing and relaxation exercises and encouraging the connection between mother and child at this early stage. Torill believes all this has helped her develop a holistic approach to teaching swimming, survival and water safety to young children and their parents. Beatriz Esesarte Pesqueira of Oaxaca, Mexico is the recipient of the 2013 Virginia Hunt Newman International Award according to announcement by the World Aquatic Babies & Children Network (WABC) who oversees the nomination and selection. The honor is given by the organization annually to an individual who has made outstanding contributions to conducting aquatic programs for babies and young children in a kind, loving, caring, and gentle way so they learn to love the water. Beatriz is the founder and director of Acuarela Natación Formativa begun in 1988. She has since worked continuously to find better ways to teach to swimming by applying scientific research in psychomotor learning. Over the past 25 years she has developed Acuasomatic Education that combines human evolution and the learning process with the naturally stimulating water environment. Respect for water is necessary to be “waterwise” she says. Beatriz developed a specialized learning pool for different age groups and physical conditions. The design enables her to control the level of stimulation that is part of learning to swim by providing different depth platforms that enable anyone, despite their height or age, to explore initially the water from the upright position, which is the better way to empower the trust and confidence of the individual she feels. Once having overcome the initial inhibitions, students can adopt the horizontal position in water as a result of spontaneous experimentation. The multidisciplinary approach Beatriz uses brings together findings and theories from recognized scientists and experts - Wallon, Winnicott, Spitz, Piaget, Bowlby, Freud, Reich and especially Vitor da Fonseca who came to collaborate with her in 2010 validating her teaching process based on the Psychomotor Human System and the Tritemporality of Human Motricity that involves the sociocultural process as an important element of learning. The presence of the mother in the baby swim classes is a must Beatriz states because of the seven phylogenetic competences: sustained attention, interaction, affiliation (human interaction with immature beings), gesticulation, and imitation. Beatriz is a recognized for her success in building her swimming instruction business as well as sharing her philosophy and methods with other swimming professionals as she is frequently a featured speaker at educational conferences on swimming around the world. Niko Saito - Japan more. . ..
Niko Saito is among the first to introduce baby swimming in Japan. She studied baby swimming with Ester Williams and Crystal Scarborough in Los Angeles in the 1960s then established her own program for babies, young children, and pregnant women under the name Saito Aquatic Academy in Nagoya, Japan. In the years following, she put a title to her aquatic instruction philosophy and methods calling them “Aquamics”. This system makes use of the water and rhythm to help children develop mentally as well as physically. Class activities pair swim activities with other learning and child development activities..
Live music flows as a musician plays a special keyboard poolside during classes. Students focus on special cards called “Pettanco” as they learn their colors, shapes, and musical notes as they also move about and swim around the pool. Songs are sung to the happy music, games are played among parents and their children, and toys grasp the attention of even the unsure student. There is plenty of pleasant stimulation for students during their Aquamics class.ive music flows as a musician plays a special keyboard poolside during classes. Students focus on special cards called “Pettanco” as they learn their colors, shapes, and musical notes as they also move about and swim around the pool. Songs are sung to the happy music, games are played among parents and their children, and toys grasp the attention of even the unsure student. There is plenty of pleasant stimulation for students during their Aquamics class. Aquamics has brought forward in Japan the use of aquatic activities including baby swimming as a beneficial part of early child development. A child’s physical development as well as his or her personality and vitality can be enhanced by participating. Niko has authored numerous books.Niko has authored numerous books. She wroteeShe wrotee Baby Swimminggg(1976) which received designation as a “Book of the Year” by the Japan Library Association. She authoreddd Baby Swimming and Maternity Swimminggg(1987). She is also aaa respected author of history books in Japan – she has 10 to her credit!!! Niko has made presentations at scholastic meetings and conferences including the Japan Physical Pedagogical meeting, the Pediatrician Symposium for Pediatric Sports, and several times at the World Aquatic Babies & Children Network conferences.Niko has made presentations at scholastic meetings and conferences including the Japan Physical Pedagogical meeting, the Pediatrician Symposium for Pediatric Sports, and several times at the World Aquatic Babies & Children Network conferences. As a youth, Niko was a competitive swimmer and held a Junior National Freestyle record in Japan.As a youth, Niko was a competitive swimmer and held a Junior National Freestyle record in Japan.. She earned a degree in nursing which has help in working with handicapped children in the pool as well with those with conditions such as asthma and autism.. She earned a Graduate degree from the School of Humanities and Social Sciences at the Nagoya City University.. It seems that Laurie Lawrence may just have a touch of chlorine in the blood and was always destined to be a teacher of swimming and a coach. As a young boy his father managed the Tobruk pool in Townsville. The family lived in a small unit above the pool entrance. There he was exposed to Australia’s dominance of International swimming when the Australian Olympic team trained there prior to the 1956 Olympic Games. In those early days he hunted and treasured autographs from Australian swimming legends Dawn Fraser, Jon Henricks, Murray Rose, Lorraine Crapp, David Thiele, and other Australian Olympic team members. Laurie fondly remembers giving his bed to Jon Henricks when the Lawrence family billeted Henricks during the 1956 Olympic training camp in Townsville. As a young man he left the pool to complete his studies a Bachelor of Arts, a Diploma of Teaching, and a Diploma of Physical Education. He represented Australia in Rugby Union and toured New Zealand with the Wallabies in 1964 before becoming a swimming teacher and coach. His quest for perfection saw his swimmers win world championships, break world records, win Olympic Gold medals, honoured as Australia’s sports coach of the year by Australia’s Sporting Hall of Fame and inducted into ISHOF as an honor coach. He represented Australia as a coach at Los Angeles Olympics in 1984 and has been an integral part of the Australian Olympic team at every Olympic Games since and has been selected to assist the AOC in London as well. London will be his eighth Olympic Games living in the village and being part of the Australiann Olympic team. His passion for baby swimming began with the birth of his first daughter Jane in 1975. He purchased Virginia Hunt Newman’s book and the journey began. After seeing how good Jane became he documented Kate his next daughter’s progress on film. Emma his youngest continued the passion and research into baby swimming and now as young women Jane Kate and Emma all work in the family business. Emma and Laurie spent five years documenting and creating worldwideswimschool.com as a resource for swimming teachers all round the world with a particular emphasis on infant aquatics based on progressive skill development determined by the growth and development of the child. The first grandchild, Evie, has inspired the creation of a newly released iphone, ipad app for swimming teachers and parents. This app will add to the three video DVDs , three books, and online swimming teaching resources already created by Laurie. His internationally acclaimed Water Safety Program "Kids Alive Do the Five" has seen drowning in Australia plummet from 63 in the 2000 to 33 in 2010. His latest Kids Alive Water Safety DVD “Living with Water” has been done in conjunction with the Australian Government as a drowning prevention measure for children under five. It is being given to the parents of every newborn in Australia for four years as a drowning prevention measure. To date more than 800,000 DVDs have been distributed in Australia. He eagerly awaits Australia’s drowning statistics later in the year to judge the success of this latest project. Daniel Zylberberg is a clinical psychologist in Paris, France. He works with children in a psychiatric hospital and teaches infant psychology at the Medical University of Paris XIII.Daniel Zylberberg is a clinical psychologist in Paris, France. He works with children in a psychiatric hospital and teaches infant psychology at the Medical University of Paris XIII. In the early 1980's he put his education and experience to the aquatic field by establishing an experimental babies swimming program. At the time in France there were few such programs or awareness of their benefits. He conducted research focused on observing the natural and spontaneous behaviors in infants while participating in an aquatic classroom environment. With friends, doctors, teachers and students, programs were established at additional aquatic centers and were well received. Zylberberg has been a leader in educating teachers and program directors as they establish and operating infant aquatic programs. In 1974 he was a leader in the founding of the French FAAEL (Awakening and Leisure Aquatic Federation). Today there are over 1000 aquatic centers throughout France with baby programs and many times more certified baby swimming teachers. Daniel was the French delegate and a lecturer at the 2nd World Aquatic Babies Congress (WABC) in Los Angeles in 1993 speaking on integrating babies with disabilities into aquatic programs. He spoke at the 3rd WABC in Melbourne (1995) on making curriculum more physically active and enriching. And the 4th congress in Oaxaca, Mexico (1997) on the researched benefits of babies being active in the unique environment water provides. Zylberberg was the moderator and lead organizer of the 5th WABC conference in Toulouse, France (1999) - attended by over 500 professionals from 27 countries and injected also presentations on young children swimming. He has given consult on teacher training programs in Italy with the WISP organization, in Spain with the SEAE, and in Argentina with FAEP - all national swim teacher education organizations. He's also lectured in Norway, Finland, United States and Germany. Daniel is the author of numerous books and articles. "The babies in the pool" (title translated in English) has been translated also into Japanese, "The Ages of Swimming" has published in French and Italian. He has been seen on numerous French television programs featuring swimming babies. Since 2008 Zylberberg has served as expert member and advisor to the French Swimming Federation’s special commission on baby and children's learn to swim programs. Françoise Freedman, with a Ph.D. from Cambridge University, has more than twenty years experience teaching and educating instructors in water babies programs from her London area home base. She founded and operates Birthlight - an organization focusing on a holistic approach to pregnancy, birth and babyhood that includes an original water babies program and a pre and postnatal aquanatal program.Françoise Freedman, with a Ph.D. from Cambridge University, has more than twenty years experience teaching and educating instructors in water babies programs from her London area home base. She founded and operates Birthlight - an organization focusing on a holistic approach to pregnancy, birth and babyhood that includes an original water babies program and a pre and postnatal aquanatal program. Growing up as a competitive swimmer in the central region of France Françoise credits her coaches with instilling a drive for excellence without losing the fun of swimming. As a teen she spent summers teaching reluctant children and learned that gentle progressions got children happily relaxing and floating in preparation for more learning more advanced skills. Later as a young fieldworker in Peruvian Amazonia, swimming was again a useful and natural activity – whether to dive down to catch fish in the streams that flow from the Andes or as a daily recreational treat for all children or for bathing. She saw older children teaching little tots to swim as part of looking after them as well as parents crossing rivers with babes on their backs. Francoise was very much in a natural water environment and thereby also observed the movements of pink dolphins, otters and other water creatures swimming with their young. Returning to London to continue her education academically as well as aquatically, she set up a small group of families who were interested in ‘swimming with their babies’ and incorporated the gentle playful ways witnessed in the Amazon. The water sessions became the highlight of each week in Cambridge – Françoise then having children of her own. She states that Virginia Hunt Newman’s book Teaching an Infant to Swim was an early inspiration to teaching babies and young children. The presentation of her first film ‘Water Parenting’ in 1995 launched the Birthlight approach to infant aquatics with a focus on affective communication between parents and babies in a water environment. The film conveyed the message that water could be conducive to an easier birth, in the water or not, and that it could also help parents bond with their babies at any time by finding ease together in the water. Her video ‘Swimming with Babies’ came next and then her book ‘Water Babies’. Also working at the time as an academic medical anthropologist at Cambridge University Françoise says that her university colleagues were surprised to see a double page article on Birthlight baby swimming in the Times, and then on the front page of the Daily Mail – the leading UK newspapers. Françoise continues to impart gentle ways through her Birthlight organization - making sure teachers always create a wave of warmth and a good time in the water for children and parents. Swimming teacher José Fontanelli has a passion for baby swimming. And the word ‘affectionate’ describes his manner in having taught tens of thousands of young pupils over the past 40 years in his homeland of Sao Paulo, Brazil. ‘Fonta’ as he is called loves his babies! Fontanelli uses research and techniques in a variety of disciplines to speed their development and enhance the comfort of students and their parents who accompany them in the pool. Research has shown that children in utero recognize different people outside the womb and their mother’s reaction to those people. Applying this, Fontanelli was among the first in the world to extend the ‘starting time’ for a baby swimming to the pre-natal period – where expectant mothers come to the pool for movement and exercise experiences. Mother benefits and at the same time becomes comfortable with the pool classroom and with the teacher. After baby is born the mother returns for ‘baby & parent’ classes, and mother is well at ease and can concentrate on baby and the class program. Research has shown that special difficulties during gestation and child birth are associated with future problems of socialization within children. Fontanelli asks mothers about their pregnancy and delivery to better know the child. Both parents join baby in pre-natal and beginning classes at his Fontanelli Swim Club. Classes are relaxed. It is not common for babies to be breast-fed during class again a blending natural ways within his aquatic classroom. Laughter, song and activity are primary components. The joy created makes learning to swim inevitable. Yoko Yagishita exemplifies the spirit of the Virginia Hunt Newman Award and the pioneering, innovative spirit of Virginia herself. Both are little dynamos. Both share a special heart for babies. Both share the foresight, intelligence and conviction to foster teaching methods that allow the tiniest swimmers to grow and learn in their aquatic environment in tear free and positive lessons. Yoko graduated with two college degrees, the first from Nihon University and the latter from Keio University. She is also a licensed Japan Counseling Association Psychological Counselor. It was during baby swim classes that she realized what a wonderful experience it was to spend precious time with her son enjoying the water. So in 1980 Yoko was trained to become a baby swim teacher and received “Baby Swim Instructor “qualification from the Japan Swimming Club Association. In 1990 she was inspired by Virginia Hunt Newman at the World Aquatic Babies conference (WABC) in Tokyo. Yoko adopted a,”wait until the flower blooms” swimming program. In Japan, Yoko introduced her style of teaching in a joyous manner in a parent/child group class format, never forcing her tiny students to perform skills. Furthering her credentials, Yoko again attended the WABC conference in Melbourne, Australia in 1995. Yoko was inspired by a video showing smiling babies, above and under the water. She was so moved that she eventually made 12 overseas trips to the United States to study, observe and absorb these gentle methods. During her first several years she studied; during the 8 remaining years she acted as a guest teacher in the United States. To finance these two week learning journeys, Yoko worked all night long driving a delivery truck etc. for an entire year, all this in addition to teaching her beloved baby students during the day. According to Yoko, the Melbourne conference and her broadened perspective on baby swimming world wide changed her life completely. Having been able to reach Virginia Hunt Newman, the mother of baby swimming, and be exposed to those programs that considered the whole child started a new chapter of life for Yoko. She was a woman on a mission to be a part of something wonderful in the lives of children, their parents and in training gentle, patient teachers. Yoko began to realize her dreams. In America, Yoko, speaking only several words of English her first years, communicated with her smile, playfulness and gentle manner. Nothing could stop her, even a bout of cancer which she fought and survived with typical strength and an optimistic attitude. Her positive teaching techniques for babies, while also integrating special needs children into her classes, slowly began to spread to clubs and aquatic programs though-out Japan. She has combined the best of Western technique with Eastern to make a culture and community of nurture, joy and fun for mothers, fathers and their babies. Today, Yoko has been featured in many Japanese media, including many mothering and baby magazines, such as “Akasugu” and NHK Educational Journal, as well as appearing on “Good Morning Japan”. Yoko now swims three days per week and practices yoga. Yoko is opening baby swim programs for the Tipness group of sports clubs. She has revamped or begun baby swim programs in multiple locations in Tokyo, and in Nagoya, Osaka, Yokohama and Kanto. She is scheduled to open a new program in the prestigious Tokyo National Gymnasium. Yoko has trained over 500 teachers in Japan, creating positive shockwaves through-out the country with countless thousands of happy babies and their parents smiling in the water from coast to coast. Selected for as the 2006 recipient for his commitment and being a wonderful example of Virginia Newman's gentle methods of teaching babies to swim, giving voice to those not yet able to speak for themselves. Terje represents Virginia's Newman's philosophy not only in the pool as an instructor, but also in his conference presentations and uniquely in the theater as the producer of his one-man stage show of the evolution of gentle baby swimming. This ingenious production pays tribute to Virginia, and follows her vision of using play and kindness, not force and tears to teach babies to swim. His father was a swimming teacher for 25 years. Terje traveled from his home in Norway to receive the award in Fort Lauderdale, Florida at the Swimming Hall of Fame's annual ceremonies, on May 12, 2006. Terje, a graduate of the Business Academy of Oslo, is currently manager of the Norwegian Lifesaving Federation in Oslo and Baerum. 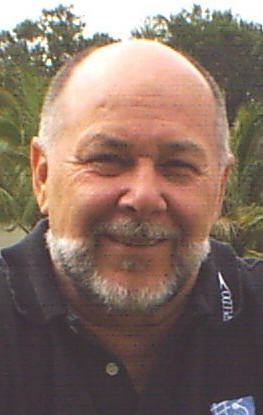 He has been an instructor in swimming and life saving for 27 years and a teacher of baby swimming for 15 years. Moreover, he trains instructors in swimming, baby swimming, lifesaving, CPR and first aid and for 27 years he was the vice-president of the Norwegian Lifesaving Association. In 1990 and 1991, his team won the Norwegian National Lifesaving Championship for male teams. In 1992, he represented Norway in the World Championships in Sweden. Terje's baby swim school is part of the Oslo and Baerum District of the Norwegian Lifesaving Association. 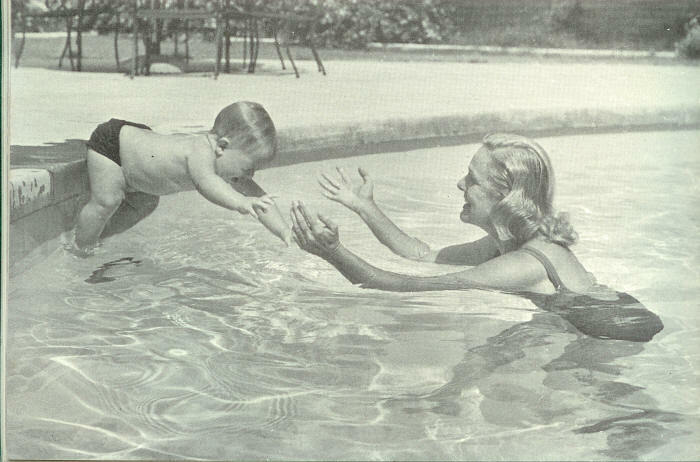 He has been an advocate of Virginia Hunt Newman's gentle approach to teaching babies to swim. He has been an international speaker at Newman's World Aquatic Baby Congress conferences in France and Hawaii as well as a international conference in Helsinki, Finland. In October 2004 he was Director for the Nordic Conference on Baby Swimming in Oslo. In 2002 he produced a baby swim video "The Truthful Face of Baby Swim". In April 2006 he completed a second DVD titled: "How to Teach Young Children to Swim." Terje is a wonderful example of Virginia's gentle methods of teaching babies to swim, giving voice to those not yet able to speak for themselves. Terje's leadership and commitment represent Virginia's philosophy not only in the pool as an instructor, but also in his conference presentations. Through his use of poetry and unique theatrical acting when producing his one-man stage show, he "shows off" the evolution of the gentle baby swimming approach. This ingenious production - entitled "Baby Swim Fro the Very Start and Into the Future" pays tribute to Virginia, and follows her vision of using play and kindness, not force and tears to teach babies to swim. For many years, Steve Graves has been helping to improve aquatic programs for young children on local, national and international levels. Steve's leadership and promotion of Virginia Newman's non-traumatic style of teaching has been felt worldwide. In 1998, Virginia selected Steve to be President of her World Aquatic Babies Congress (WABC), the professional organization for swim teachers working with infants and toddlers, which Virginia founded in 1993. World conferences on baby swimming followed on baby swimming in Toulouse, France (1999), Buenos Aires, Argentina (2001), and Honolulu, Hawaii (2003), which were attended by representatives from 34 countries. He developed WABC's website using it to send electronic, around-the-world newsletters on the subject of infant-toddler aquatic instruction. Hundreds of instructional articles were archived in several languages on the WABC website. In 1988, Steve founded the National Swim School Association (NSSA), a trade association for swim school owners in the United States. He served as the association's President for the first five years, then as Executive Director through 2001. During this time, annual conferences included presentations by the leading international authorities on designing aquatic programs for babies and young children. In 2000 Steve received the Paragon Award at the International Swimming Hall of Fame. He had promoted aquatic safety by facilitating a large research study on the expectations of parents with regard to their expectations and results in having the children enrolledcreating infant-toddler teacher certification and public awareness programs in drowning prevention for NSSA. These programs greatly benefited NSSA's 1500 member swim teachers and the 160,000 students taught each year. 1997-2006 was a part-time Executive Director of the Florida West Coast Chapter of the Florida Swimming Pool Association, an affiliate of the Association of Pool and Spa Professionals (formerly NSPI). He brought attention to pool industry leaders on 'right thinking' with regard to backyard pool safety - that it wasn't just the parents job and it wasn't just learning to swim (which takes time) - that there is a collection of drowning prevention strategies that need to be applied to be a more complete preventative. A Danvers and Normal, Illinois native and a former college All-American freestyle swimmer for Coach Archie Harris, at Illinois State University also in Normal, Steve was a swim coach, teacher and aquatic program director from 1969 to 1993 in Illinois, Arizona and Florida. Beyond his current WABC activities, Steve still finds time to teach swimming a few hours a week. Says his university swim coach Archie Harris, "Steve did it on just plain hard work. He is a go-getter." Rob McKay of Boca Raton, Florida USA has been named the first recipient of the Virginia Hunt Newman International Award. McKay accepted the award May 8th at ceremonies at the International Swimming Hall of Fame (ISHOF) annual awards ceremonies May 8, 2004 in Ft. Lauderdale. The newly created award to the person is presented to that person who "exemplifies the teaching philosophy of Virginia Hunt Newman" said Ed Newman, Virginia Newman's son. Virginia Hunt Newman, considered the "mother of infant swimming" is a pioneering advocate of the gentle, positive approach to teaching babies to swim, author of the first book on infant swimming, "Teaching an Infant to Swim" she is honored into both the International Swimming Hall of Fame and the National Swim School Hall of Fame. McKay commented that "Virginia Hunt Newman is a "shining light" for her work with very young children. Virginia's love and respect for children, her support and consul to those seeking to teach babies to swim in a gentle manner has been constant inspiration to me. I treasure her friendship, her insight, her ethics, her vision." The Newman Award will be Rob's second award housed in the perpetual awards area of the ISHOF. In 1999 Rob received the Paragon Award "for outstanding contribution to Aquatic Safety". Rob McKay has spent 26 years of his adult career devoted to teaching infants to swim. It is no accident that it was also 23 years ago that Rob first met and was inspired by Virginia Hunt Newman. Virginia's pioneering advocacy of a gentle, positive approach to teaching infants to swim instilled in Rob a passion to create the most stimulating, child-friendly, educationally sound and developmentally appropriate swim school possible. Rob's mission along with his wife Kathy has resulted in his nationally acclaimed Lifestyle Swim School in Boca Raton, Florida and their instructional video series, "Diaper Dolphins". DK/Penguin Publishing of London/New York announces the world wide spring 2005 release of Rob and Kathy McKay's book, "Learn to Swim". The 128 page book outlines the couple's philosophy and features step-by-step how-to's for parents and teachers of children 6 months through 4 years old. As with all DK books, visually appealing photos and unique graphic layouts draw the reader to the page. Rob and Kathy's small swim students and their parents grace the pages of "Learn to Swim" as techniques and tips are shared for each age and stage. Learn to Swim is available at many stores including Barnes and Noble, Borders Book Store, Amazon.com, Target, Wal-Mart and Books a Million. The McKay's have also created an informational web site, "Baby Swimming-the Gentle Journey" at www.babyswimming.com . The McKays have authored and been the featured subject of numerous newspaper and magazine articles nationally and internationally. Rob and Virginia were featured in a video press release on infant swimming for the national product release of Huggies brand "Little Swimmer's" diapers. They also appeared together in the Discovery Channel's "World of Wonder" program which aired in 50 countries during a 5 year period. Japan's Nippon TV network recently featured Rob, Kathy and their baby students in a special entitled "Charismatic Teachers". A frequent speaker at national and international conferences and workshops, Rob is a board member of the World Aquatic Baby Congress and a member of the Congress of the ISHOF. He is a charter member of the National Swim School Association. McKay has trained numerous teachers in his gentle, child-paced, non-traumatic methods both from across the US and around the world including Great Britain, Norway, Sweden, Japan, Australia, New Zealand, Singapore and the Philippines. A former high school All American swimmer from Cedar Rapids, Iowa and a collegiate scholar-athlete for Florida State University, Rob also held records as a Master's swimmer and continues to swim for health and fitness. Nominations have been received and are now closed for the 2019 Virginia Hunt Newman Award given annually to a person who exemplifies the philosophy of Virginia Hunt Newman. The person traditionally selected is disciple of Newman in his or her activities and accomplishments as they carry on her name and her philosophy of teaching babies to swim in a kind, loving, caring way so that they learn to love the water. Students to be taught in a non-forceful and non-traumatic way as was Virginia's style and philosophy. Nominations are written communication explaining the nominees qualifications for this award along with the nominees complete contact information to WABC office@WABCswim.com by December 1, 2019. * Nominations from previous years are carried over to the current year and considered along with ones submitted for the first time. The 2019 award will be presented at ceremonies of the International Swimming Hall of Fame, on Friday evening May 17, 2019.